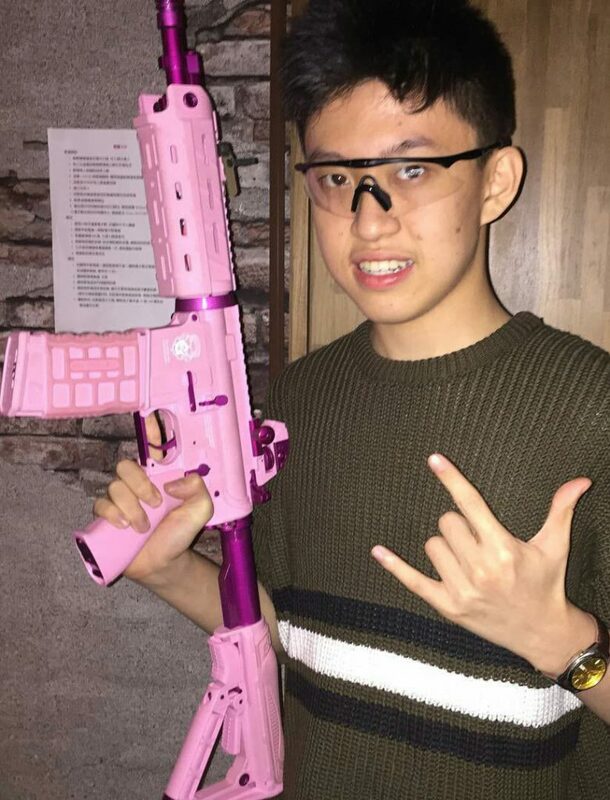 Brian Imanuel is an Indonesian rapper, songwriter, and record producer, best known for rising to popularity under the name Rich Chigga but is now known professionally as Rich Brian. He rose to popularity with his debut single “Dat $tick” which went viral in early-2016. The single was certified gold and he eventually released his debut album two years later entitled “Amen”. How rich is Rich Chigga? As of early-2018, sources estimate a net worth that is at $300,000, mostly earned through success in the music industry. He’s collaborated with various American rappers and has also gone on tour to promote his music. As he continues his career, it is expected that his wealth will also continue to increase. Rich was born in on 3 September 1999 into a Chinese Indonesian family living in Jakarta, Indonesia, and was raised with four siblings, but never received a formal education, spending a lot of his time helping in his parent’s café while he was homeschooled. His online career began in 2010 when he was just 11 years old, when he discovered YouTube and Twitter, leading him to make video content. He made dark-comedy sketches and various videos, before deciding to move to Vine four years later. He taught himself how to speak English by watching YouTube videos and listening to several rappers, and was introduced to hip hop music by a friend who showed him the Macklemore song “Thrift Shop”. He then learned more about the genre, and discovered many popular artists such as Drake as well as Kanye West. His interest in rap led him to write his first rap song in 2014. He was not initially committed to a music career, wanting to become a cinematographer, but then turned to music as his career was taking off. In 2015 he released his debut track on YouTube entitled “Living the Dream”. He then went on to make his debut single in 2016 entitled “Dat $tick” which became internationally successful. The single’s music video was subsequently uploaded to YouTube, and gained more than 80 million views, reaching fourth spot of the Bubbling Under R&B / Hip-Hop Singles. He followed it up with two more singles – “Who That Be” and “Seventeen” – which were released through iTunes and SoundCloud. In 2017, Brian would go on his first tour, before releasing the single “Gospel” alongside Keith Ape and XXXTentacion. He went on to win a Breakthrough Artist of the Year award at the 4th Indonesian Choice Awards. Shortly after, he announced his debut album “Amen”, which would be released in February 2018, making him the first Asian to reach the top spot of the iTunes Hip Hop charts..
After releasing several collaborative works, he decided to officially change his stage name from Rich Chigga to Brian with the release of the song “See Me”. According to him, his name created a lot of controversy and he really didn’t think about it when he adopted the name at first. It was first suggested to him by a friend and he later regretted it. He said that changing his name to Rich Brian was the right thing to do, and he was so happy to do it. He’s been living in Los Angeles, California since 2017, though he is not a permanent resident of the US. He mentioned that he’s only been in one relationship and it was a long distance relationship with a girl from Maryland which only lasted for two months. He has stated that he will not seek college education, but would like a chance to attend film school. His musical style has been given numerous descriptions by critics, including unique, ironic, and gruff. He originally made a lot of comedy music, but has since distanced himself from that with more serious songs such as “Glow Like Dat” and “Seventeen”. He has stated that some of his musical inspirations are Young Thug, Tyler, The Creator, Childish Gambino, and Yung Lean. As Rich initially found his popularity online, he continues to maintain a strong online presence through social media. He mainly promotes his recent debut album release, “Amen” through Twitter, Instagram, and Facebook. He also posts some of the recent events he’s undertaken including a tour in Europe. His Instagram account is filled with pictures of himself in the studio, and promotes some of his tour dates to Australia and New Zealand. Despite going on more serious tones as his career has progressed, he still manages to post a lot of comedy content, especially with the photos he posts on social media. His music videos can be seen on YouTube as they are promoted by numerous channels.